Dur-A-Quartz is a decorative quartz seamless flooring system consisting of 100% solids epoxy with a chemical and wear resistant urethane topcoat. 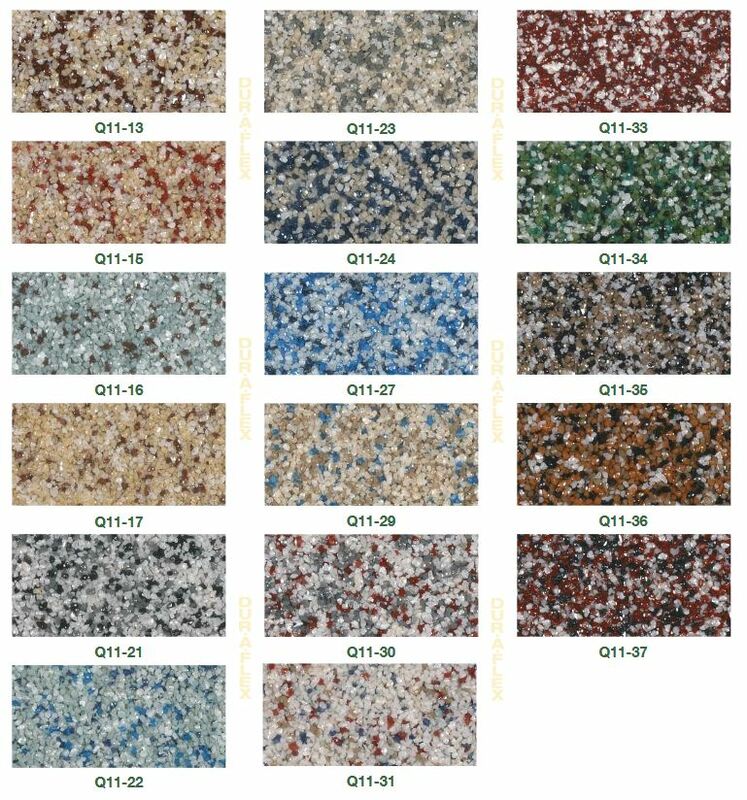 Quartz aggregate is available in fine (Q28) and coarse (Q11) sizes. 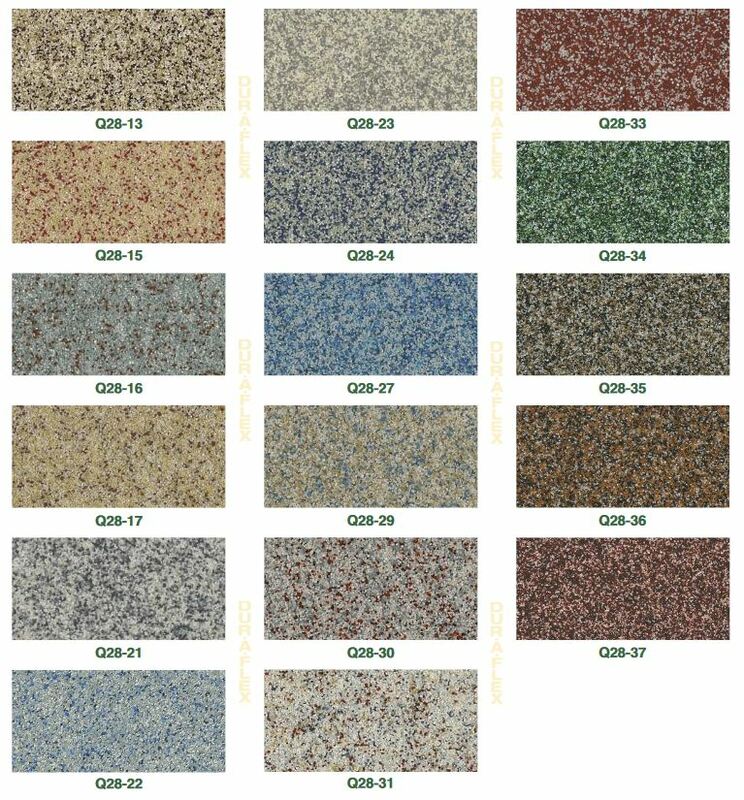 See Quartz Color Charts for standard blends. Custom colors are available upon request.